I was equally indifferent to the subject of Hillenbrand’s next book after Seabiscuit, Unbroken—a racing human instead of a horse, with World War II as a backdrop—and yet there was never any question that I’d read it. I asked for a copy of it, in hardcover, for Christmas the year it was published…and it’s been sitting on my shelves ever since. The recent release of the movie adaptation was what finally got it out of TBR Purgatory—as an audiobook. (The hardcover is on its way from the bookshelves to the book-donation box.) I knew I’d get to it eventually because I was sure that once I picked it up, Hillenbrand would get me just as interested in this story as she did in Seabiscuit’s. 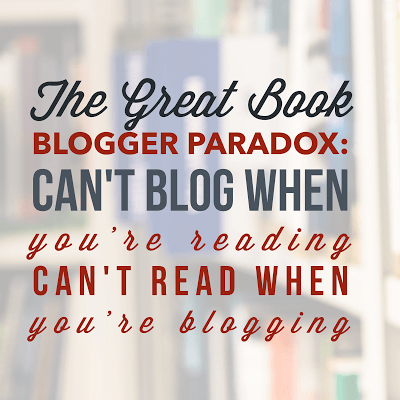 Once again, my confidence in the author was justified. I’m still not a sports person, and despite the fact that both my husband and my son ran track in high school, I’m really not into running. And while I’m quite interested in aspects of the World War II era, I’m not especially fascinated by reading about war itself. But I was enthralled, and sometimes horrified, by the story of Louie Zamperini. A troublemaking, thieving kid in Torrance, California, Louie’s life took a turn for the better when he was reluctantly recruited to run track, and discovered he was good at it, setting high-school and college records in distance races on the way to a spot on the US track team at the 1936 Olympics in Berlin. A seventh-place finish in his event made him determined to do better in the 1940 games, but that was not to be; those Olympics, along with those scheduled for 1944, were casualties of World War II. Hillenbrand’s accounts of pivotal races in Louie’s running career are as riveting as anything in Seabiscuit, but the real drama of this story doesn’t happen on the track. After the bombing of Pearl Harbor, Louie was drafted into the Army Air Corps and trained as a bombardier for air battles on the Pacific front. He didn’t see many of those, but he spent more than two years fighting for his own survival. After his plane crashed into the ocean—ironically, while on a search mission for another plane in the squadron—he and another crew member spent nearly seven weeks drifting, and starving, in a raft before they landed on a small island occupied by the Japanese. 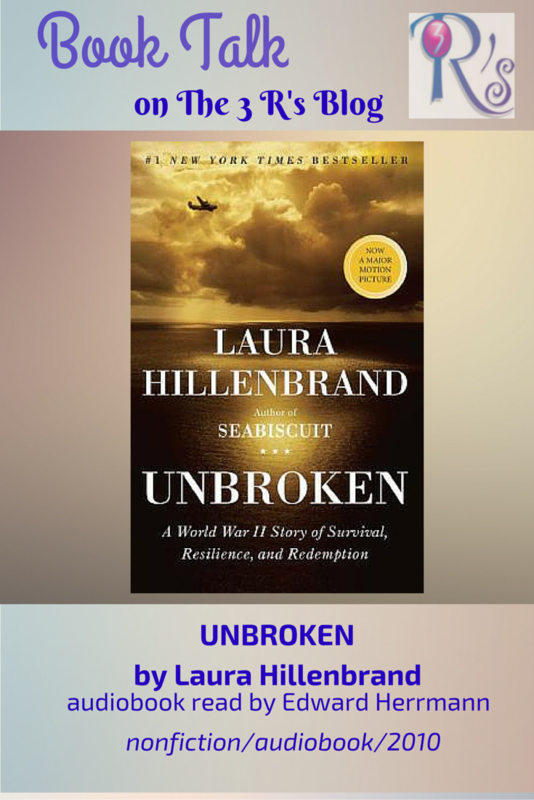 Louie’s years as a prisoner of war began there; the terrors and trials of those years, and his remarkable survival—even as the US War Department officially declares him dead—are the centerpiece of Unbroken. As I expected, Hillenbrand relates this story vey well. But t’s a difficult and unsettling story, and reading it in audiobook is immersive in a way that sometimes makes it even tougher to hear. This is a case where a spoiler is welcome, and it helps to know going in that Louie does survive; decades later, he was able to share his own story with Hillenbrand for this book. (He died in July 2014.) It’s a one-of-a-kind life story, and I’m glad I finally came around to knowing it. Laura Hillenbrand is the perfect person to tell it, and Edward Herrmann was an excellent choice to read it for the audio. “In the predawn darkness of August 26, 1929, in the back bedroom of a small house inTorrance, California, a twelve-year-old boy sat up in bed, listening. There was a sound coming from outside, growing ever louder. It was a huge, heavy rush, suggesting immensity, a great parting of air. It was coming from directly above the house. The boy swung his legs off his bed, raced down the stairs, slapped open the back door, and loped onto the grass. The yard was otherworldly, smothered in unnatural darkness, shivering with sound. The boy stood on the lawn beside his older brother, head thrown back, spellbound. “The sky had disappeared. An object that he could see only in silhouette, reaching across a massive arc of space, was suspended low in the air over the house. It was longer than two and a half football fields and as tall as a city. It was putting out the stars.